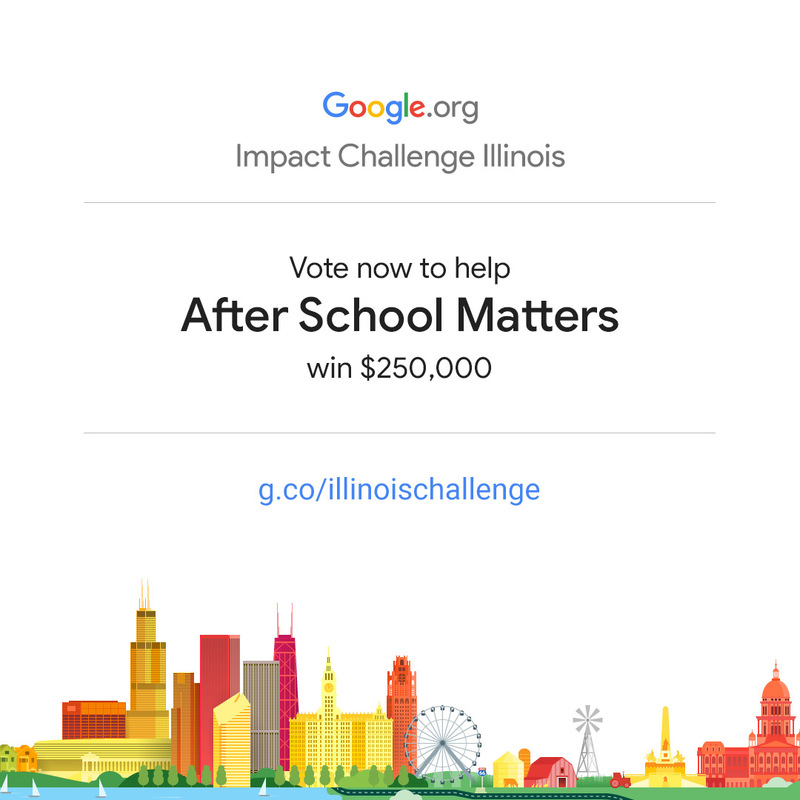 We are excited to announce After School Matters in partnership with Boys & Girls Clubs of Chicago (BGCC) has been selected as one of ten winners of the Google.org Impact Challenge! This honor comes with a $75,000 grant as well as training from Google but…there is also a unique opportunity for After School Matters to win an additional $250,000, and WE NEED YOUR HELP! Vote at g.co/IllinoisChallenge for an exciting new college and career readiness program After School Matters is piloting in conjunction with Boys & Girls Clubs of Chicago (BGCC). Public voting will end Thursday, February 14 at 11:59 p.m. You can vote once on each device that you own! Find us on social media and share our posts about the challenge. Since It Takes a City to win the public voting portion of this challenge, we are asking every member of the After School Matters family to spread the word and encourage everyone in your networks to vote as well. After School Matters and Boys & Girls Clubs of Chicago, two of Chicago’s most trusted and impactful youth-serving organizations, are joining forces to create a new program to help Chicago teens map out successful futures that reflect their values and skills. This powerful partnership will leverage the resources and strengths of both organizations to offer vital support to our youth at a critical time in their development – resulting in countless positive contributions throughout the city. ASM and BGCC collectively serve nearly 40,000 Chicago youth annually, and this innovative venture will expand upon the important work both organizations have been engaged in for decades to elevate and celebrate Chicago’s teens – ultimately helping to build a brighter future for our city.